If you have been trying to get pregnant for a year or more without success, and are under the age of 35, it may be time to see a doctor. If you are over the age of 35 and have been trying to conceive without success for 6 months or more, it’s time to get in to your healthcare provider for testing, or a referral to a fertility specialist. Senior Herbalist Elizabeth Willett, MA, CH, discusses experiences that would be reason to make an appointment with a medical doctor, fertility specialist, naturopath or herbalist, therapist/counselor in the near future, so that you can get to the bottom of why the issue is happening for you. This video was shared live. Download the Instagram App to watch our live broadcasts! recurrent miscarriages/pregnancy losses – often times doctors still want a women to have 3 consecutive losses before doing more testing, if this is you and it’s not sitting well with you, advocate for yourself and seek help from another medical professional. You deserve that! removed yourself from your life; i.e. social events, stopped participating in or working on your hobbies, lost interest in that which you once loved, distanced yourself from friends or family, find yourself angry at other pregnant women and wishing them ill, lost interest in your partner, etc. If you suspect or have any of the above risk factors that may be a sign of infertility, it is very important to see a doctor. While your family doctor may be able to help with initial testing, further testing from a Reproductive Endocrinologist (RE) or even a Reproductive Immunologist may be necessary. 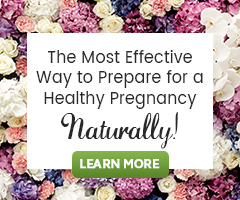 Even if you choose medical treatment, there are infinite natural options to help support healing and to bring the body back to balance, as well as support fertility naturally. Reach out to us for support! It’s what we are here for!